Welcome to the Arts at St. Bede’s. The performances in our concert series vary from the intimate to the large scale, from instrumental to choral, from early to contemporary. Our concert space is warm and hospitable, with a lovely acoustic. Parking is free and plentiful, and each event is followed by a reception in our parish hall with opportunities to chat with each other and the performers. MUSA will present a program of European music written in and for Chinese courts, as well as Chinese music transcribed by European visitors of the 17th and 18th centuries. 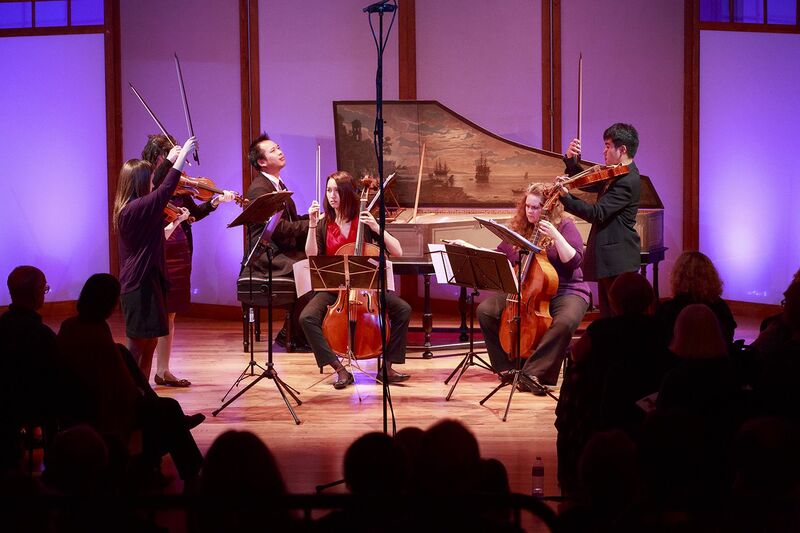 “Chinese Baroque” explores the dynamic and complex cultural exchanges between Western Europe and China through the lens of music. Click here for details of upcoming events and to buy tickets online. In this series we seek to engage our parishioners, our neighbors, and the wider community in the enjoyment and appreciation of the beauty and mystery of human experience as expressed through the extraordinary medium of music. While we welcome you to attend any of our concerts by buying tickets either in advance or at the door for each event, we invite you to participate in an amazing deal by becoming a season subscriber — a Friend of the Arts at St. Bede’s. Contributions of any size are welcome, and all contributions of at least $100 entitle the donor to free admission for two people at all series events. Amounts contributed in excess of $100 are tax-deductible.